Most of the time, you probably take your car’s exhaust system, and what it does, totally for granted. That is, until something starts to go wrong with it, when the symptoms can be disconcerting at best, and pretty scary at worst. It’s impossible to say how long a typical car exhaust system should last, as there are huge variations in the way every car is used. This is partly why the warranties you can be offered on an exhaust system vary greatly too. The waters are muddied further by the fact that an exhaust system is actually one of several car components which are designed to work at high temperatures. So keeping them idle, and therefore, cold, for long periods can actually shorten their lifespan. So What Does My Exhaust Actually Do? Shielding the vehicle’s occupants, and passers-by, from the noise created by the constant stream of explosions which are part of the fuel-burning process which makes vehicles move. So from this, we can probably deduce that travelling in a car without an exhaust system would be a pretty noisy experience - if not altogether dangerous. You’d also be instantly breaking the law on vehicle emissions - no matter how much noxious material your vehicle belches out when your exhaust system is fully operative, that amount will be greatly increased if those gases and other substances aren’t properly channelled away into the atmosphere. What Are The Main Parts Of An Exhaust System? Because we rarely get down on our hands and knees and look under our cars, most of us probably only ever see the very end of our exhausts - the tail pipe through which those nasties are blown out into the air. But a typical car exhaust system extends about three-quarters of the length under the car - or about three metres - from the engine block to the tip of that tail pipe. Exhaust manifold: This is the part which is connected to the engine, and collects the gases produced in its cylinders. Its job is then to make sure that these gases are channelled safely through the system and expelled out of the far end. The main cause of problems with the manifold is regular exposure to the extreme pressure and heat which an engine needs to produce to work properly. In time, this heat causes first cracks, and eventually, small holes, to form. These are what cause the phenomenon known as ‘blowing’, which creates the distinctive resonating noise and vibration which is a symptom of the exhaust being about to fail. A further cause of failure of the manifold is when one or more of the clips which secure the exhaust system to the bottom of the car corrode and fail, resulting in the manifold being subjected to pressure beyond that for which it’s designed. Oxygen sensor: Usually sited either side of the catalytic convertor, this does exactly the job suggested, in measuring the oxygen in the exhaust system. It can then increase or reduce the amount of fuel being pumped through the engine in response to how hard the driver is pressing on the accelerator and the amount of fuel needed to either accelerate, or keep the vehicle moving at the required speed. Catalytic converter: Located between the manifold and the silencer, this takes the gases produced by the exhaust system, and cleanses them of many of their harmful components. All vehicles fitted with a catalytic convertor from new must, by UK law, retain one throughout their working life. The central component of the system, the catalyst itself, consists of one or a number of precious metals, most commonly platinum. The most common ‘three-way’ catalytic converter converts oxygen, carbon monoxide, and unburned hydrocarbons from fuel into carbon dioxide and water. Diesel particulate filter: Because diesel fuel also creates minute particles of soot when it is burned in a vehicle’s engine, emissions rules introduced from 2009 made it a legal requirement for such engines to be fitted with one of these. They are designed to catch most of the larger particles which are unburnt deposits from the combustion process, and which, like petrol fumes, contain hydrocarbons which can affect breathing. Silencer: Sited towards the back end of the exhaust system, this component’s job is to conceal the noise made by the combustion which takes place within the engine chamber. So that it can withstand the intense heat, along with the corrosive chemicals found in the burned gases which are making their way through the system, this part of the system is usually made of steel coated with aluminium, which helps protect against water, salt, dirt and the elements. Exhaust pipe: What’s left after passing through these stages is still a mix of gases (and a small amount of water) which need to be safely expelled from the vehicle, and this is the exhaust pipe’s job. It’s effectively the chimney, through which those gases can escape directly, and largely safely, into the atmosphere. What Can Go Wrong With The Exhaust System? of heat from under the vehicle, or sometimes, a smell of rotten eggs caused by an accumulation of sulphur, one of the harmful gases which the convertor works to reduce, in the system. This can be fixed by installing a new catalytic convertor, which is a job which many properly-trained and experienced mechanics can carry out quite easily. General faults in an exhaust system are invariably caused by rust - which shouldn’t come as a big surprise, given the amount of corrosive materials it has to safely process and channel out into the atmosphere. Rust may eventually cause joints between two or more parts of the system to fail, and when one of these gives up the ghost, damage to the exhaust system itself quickly follows. It’s rare for corrosion to get so bad that the pipe works loose and drags along the road - but it can happen if things get so bad that the exhaust just gives up the ghost. In such an instance, it’s best to stop where it’s safe to do so and call for roadside assistance. Various parts of an exhaust system can, in time, and possibly through impact, work loose and even fall from the car. If you’re driving when this happens, you’re sure to notice because you’re likely to hear a loud rumbling noise coming from under the vehicle, which rises and falls as you accelerate and slow down. This is caused by the movement of air and the other substances which pass through the system, encountering the fault and making that blowing - or in serious cases, rumbling - sound. In some instances, an effective solution can be found by simply replacing the part of the exhaust system which has failed. For example, if part of the pipework has corroded it is possible to simply replace this. But if the fault is with the range of components contained in the main exhaust box, such as the catalytic convertor, these can be individually replaced - but this still entails the removal of the exhaust system to access the affected part. While a range of products, such as putties and bandages, can be used to effect a temporary repair to an area of bare metal which is part of an exhaust system, it must be stressed that such products do not offer a long-lasting solution. So while they might be useful in getting you to your destination, they are not permanent ‘fixes’, and you may be liable to prosecution and a fine if the repair means you are still violating road traffic laws. How Might A Faulty Exhaust System Affect My Vehicle? Apart from the already-mentioned extra noise which is usually a symptom of a faulty exhaust (or part of it), deterioration of your exhaust system can also lead to reduced fuel efficiency. This is caused by the engine being forced to work harder than it should to produce power. So if you notice that you’re using more fuel, it could be worth getting your exhaust system examined, in case a fault in it is at the root of your problem. In any case, it’s a sign that your engine isn’t working as efficiently as it should, so you should get it looked at in case another part of it needs attention and repair or replacement. Exhaust system repairs and replacement are a staple part of many mechanics’ work, and mostly are not complicated tasks. Nevertheless, a full replacement is a job which should be entrusted to an expert. One reason for this is that a complete exhaust system is treated as a separate component to the main part of a vehicle. As such, it is not usually covered by the vehicle’s warranty. But if you have a system properly fitted by an approved supplier, the manufacturer of the system itself will offer a guarantee covering its main parts. If you’re having an exhaust repair carried out, you’ll find a bewildering choice of garages and specialists willing to do it. You can choose from the best in your area by using Mycarneedsa.com. You simply post the details of the job you need doing, and wait for garages in your prescribed area to leave their bids for completing the work. You can then choose the one which fits your budget and your other needs, such as locality. 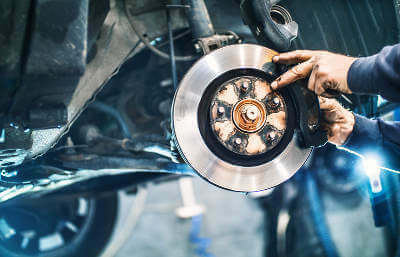 Whatever type of car repair or maintenance work you need to have done on your car, give MyCarNeedsA.com a try, and choose from independent garages and main specialists in your area who can do the job, and check out reviews from customers who have already used them.